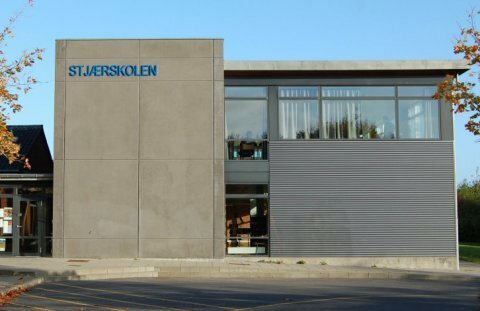 Stjærskolen was built in 1981 and includes - beside 12 classrooms – rooms for woodwork, arts, crafts, physics, music and cuisine workshop. The school also have two multimedia rooms. In every classroom there is electronic cleverboards. We also have 60 laptops, and 60 stationary computers. We often use our outdoor areas for learning. These include sports-areas for football and athletics, a country logde, a lab for science, a pond and a multi-lane, and a forest in the nearby.